Lady Dianne's Custom Window & Bed Treatments - Hello! We can help you fall in love with your home all over again! Nancy & Gretchen Tegtman are the Mother-Daughter team behind Lady Dianne's Custom Window & Bed Treatments - a Window Treatment design & fabrication studio that has served the South Atlanta area for 36 years! From start to finish, our services are designed to meet your needs. During your In-Home Design Consultation, we will help you select the perfect style for you & your home. With our high quality Fabric, Trim & Decorative Hardware lines, we will carefully guide you through the many options available. You will have fabulous choices and a great selection without having to leave your home. All those options will give us exactly what we need to help you select the perfect Custom Window Treatment for your home - all while being fun & stress-free! 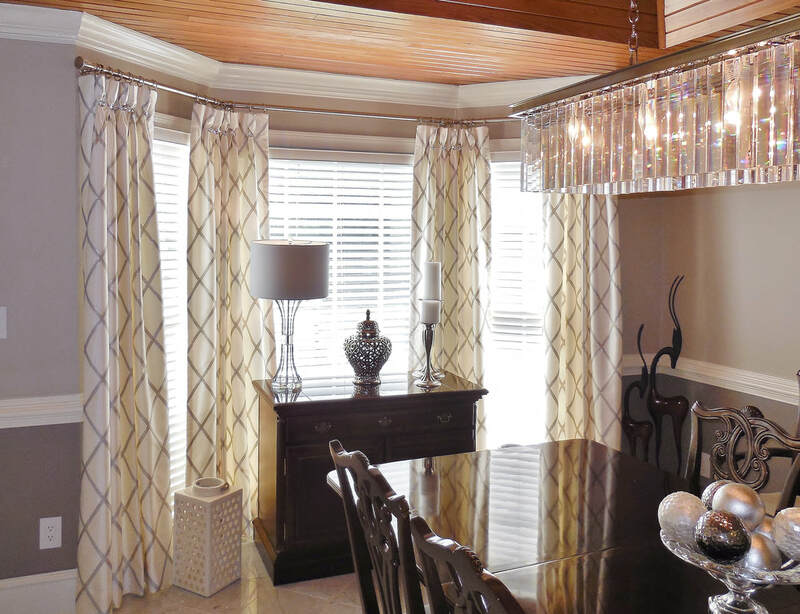 As Window Treatment Specialists, we take great pride in the quality of our work, so nearly everything is made on-site. If you would like to see the quality of our workmanship firsthand, our Showroom displays over 100 Window Treatments (and several Bed Treatments) in all the newest styles & fabrics! You are welcome to come in anytime! We would love to see you! From Inspiration to Installation, Gretchen & Nancy will be with you for every step of your project! Tablecloths & Much, Much More!! "Oh, I love them! Now I won't be afraid to use this room when my husband is out of town!" Also, check out our newest addition: Motorized Draperies! Wondering what it's like to work with us? Here are just a few Happy Clients! "Prepare to be dazzled if you invite Lady Dianne's into your home! Absolutely fabulous service and product quality. 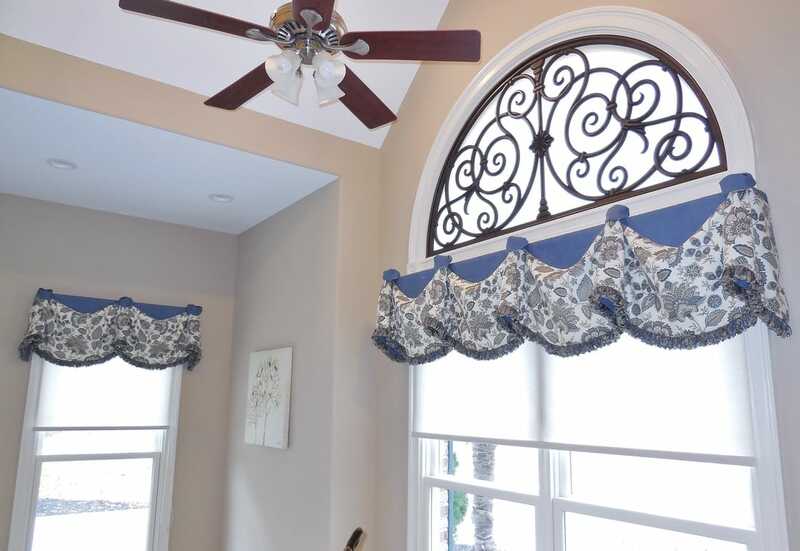 Gretchen provided wonderful counsel in selecting Window Treatments for the family room. I probably would not have selected the Solar Shades, thinking they would be far too casual for the room. She dressed the windows up with a gorgeous Valance - that tied all the colors in the room together. I am so delighted I found Lady Dianne's! Next project is upholstering 2 wing back chairs." ​​"5 Stars - Beautiful Work! I am very happy with Lady Dianne's Custom Window & Bed Treatments. This was my first time using them and my Curtains look wonderful, I wouldn't hesitate to use them again. I used them for Custom Curtains throughout my entire home. The installation was fast and efficient. The team made the whole process easy and I am so happy with the end result. I highly recommend Lady Dianne's!" I have been using Lady Dianne's Custom Window & Bed Treatments for many years! If you asked what I like about the company, I would say pretty much everything! Their customer service is fantastic. They have excellent ideas and suggestions if you need them. They do beautiful work! If you are thinking about using them, you definitely should. They will cater to your specific needs." ​​"5 Stars - Great Quality! This was my first time using Lady Dianne's Custom Window & Bed Treatments, and it's safe to say I would use them again. It was really easy to get a quote and the price was comparable to other businesses in the area. Lady Dianne's put Shades in two rooms, installed two Valances, and some Panels. I am very happy with the final look. I highly recommend them!" "You did such a great job for us. Your Blinds changed our lives! They really did. ​We would recommend you to anyone!" "Total Experience: 5 Stars - Definitely worth the investment! Let me start by saying the finished product is impeccable! I had Curtains and Wood Blinds placed throughout my house and everything came out beautiful. Beyond excellent product quality. I experienced superior customer service. Gretchen was a delight to work with! Her schedule was flexible, she was prompt and always kept me informed throughout the process. Gretchen was also helpful in assisting me picking out fabrics and designs. 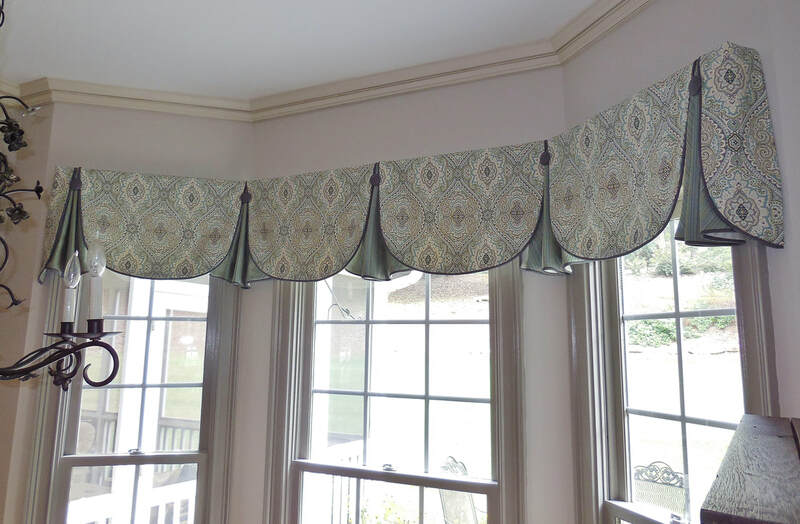 At one point, I liked a Curtain that I had seen on Pinterest that Lady Dianne's had not made before, but of course, as with anything else I wanted, it was no problem and Gretchen made it happen. Gretchen was also on site for all installations which was awesome! The installers were skilled, polite and professional. That being said Gretchen was available to answer any questions the installers had and see to it that everything was installed to her high standards and that the customer was happy with the finished job. I couldn't be happier and most definitely recommend you try Lady Dianne's!" See our Headline Making Work! From the measuring of the windows to the choosing of the fabric to the installation of the window treatments, the experience was absolutely wonderful. Gretchen was very professional and courteous. She made great suggestions and offered her expert opinions to make the selection process so easy. I would recommend them to all my friends and have already referred them to some neighbors. The final product was more than I imagined. The quality is above exceptional. I can't wait to get other window treatments from Lady Dianne's." Proudly serving Fayetteville GA, Peachtree City GA, Tyrone GA, Senoia GA, Newnan GA, Sharpsburg GA, McDonough GA, Stockbridge GA, Locust Grove GA, Sun City Peachtree, Serenbe, Pinewood Forest, Cresswind Peachtree City, Brooks GA, Griffin GA and other parts of Fayette, Henry, Coweta, Spalding and the surrounding counties. We hate Spam as much as you do! Your information will never be shared. Period.